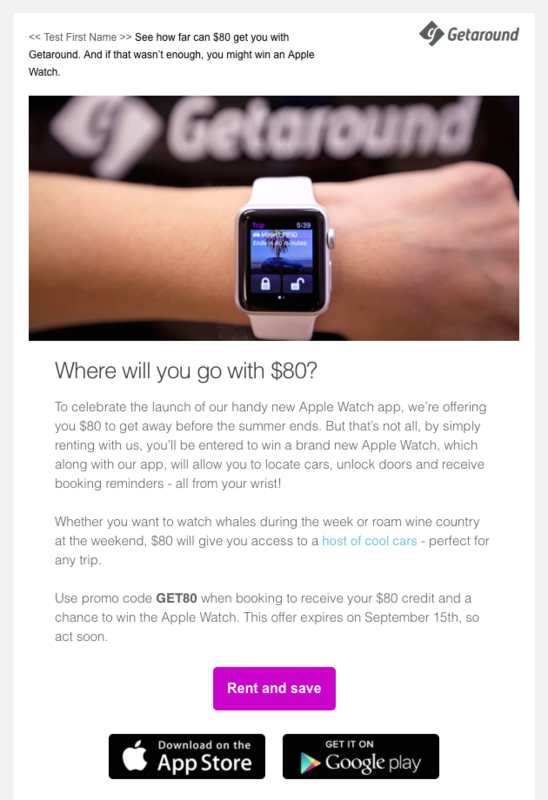 Getaround introduced its brand new Apple Watch app in August 2015. It was the first of its kind, and we wanted to make a big splash, including a promotion that would activate users. Determine if adding a sweepstakes giveaway to the standard $80 diving credit offer would increase activations. 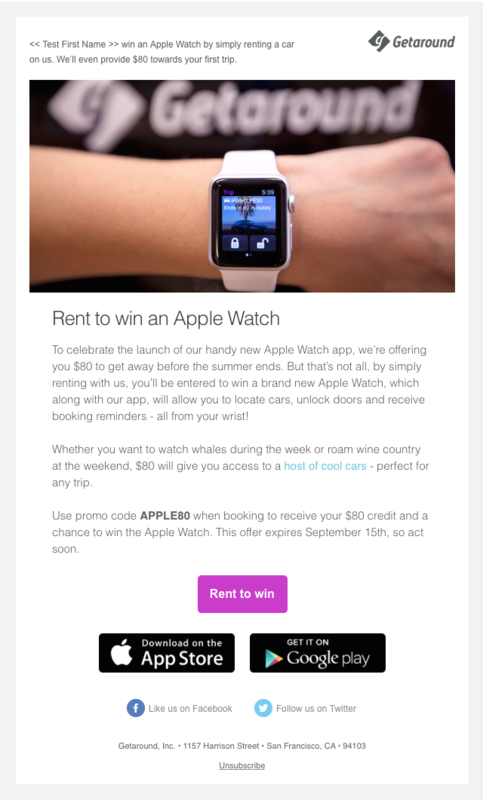 The campaign was simple: Claim your $80 towards a Getaround car rental and automatically be entered to win an Apple Watch. In order to test the hypothesis, we ran a 50/50 split AB test, with one email focussing on the Apple Watch sweepstakes, and the other emphasizing the driving credit. Both emails included the sweepstakes giveaway because we didn’t want to exclude anyone. Subject lines, preview text, and body copy were all accounted for in testing, but the most important KPI was activations. To track those, I used unique promo codes in each email (APPLE80 and GET80). The email that emphasized the Apple Watch sweepstakes had a 42% higher activation rate, confirming my theory that a sweepstakes giveaway can increase activations.